New Delhi: Members of Parliament (MPs), cutting across party lines, participated with enthusiasm in a mass awareness programme for promoting sports culture in the country, particularly the game of football. 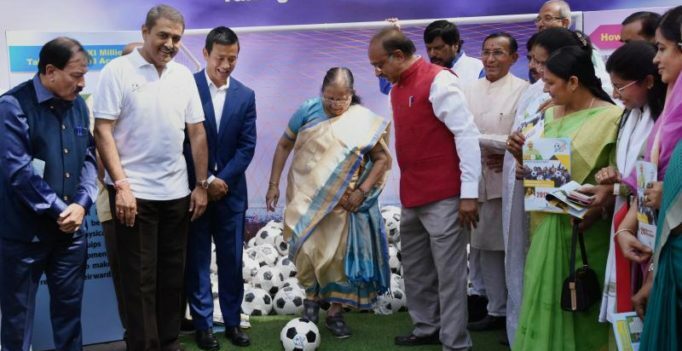 The occasion was the presentation of footballs to MPs of both houses of Parliament by Lok Sabha Speaker Sumitra Mahajan at a function on Wednesday. The function was organised by the Ministry of Youth Affairs and Sports to promote Mission XI Million Programme for taking football across India in the run up to FIFA U-17 Football World Cup to be hosted in October this year. Speaking on the occasion, Minister of State for Youth Affairs and Sports Vijay Goel said, the FIFA U-17 World Cup is being organised in partnership with the All India Football Federation (AIFF) and in order to create football culture Mission 11 Million has been initiated that aims to take football to 11 million children across India through 15000 schools and mass contact programmes. He said various activities are being organised across all states to promote and popularise the three phase programme by organising workshops and festivals etc. He said the key idea of Mission XI Million is that every child should have the opportunity to play the world’s most popular sport. Goel urged Members of Parliament to help in spreading the message by organising football tournaments at the village, block and district levels. He said the Sports Authority of India can assist MPs in organising a programme if a SAI centre exists in their constituency. He said MPs can help in creation of mini clubs for local level games and competitions and by utilizing their MPLAD fund for new sporting hubs and festivals. Goel also said, India had a successful BRICS U-17 Football Cup in 2016 and now the FIFA U-17 World Cup in October this year will ensure that the country becomes the bright spot in world football. He said, his ministry will continue to promote the game across schools and other institutions and help create sports culture in the country. 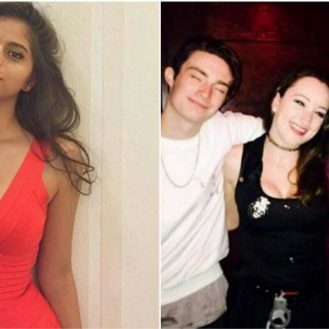 From fab to fat: these latest pictures of Uday Chopra will shock you!